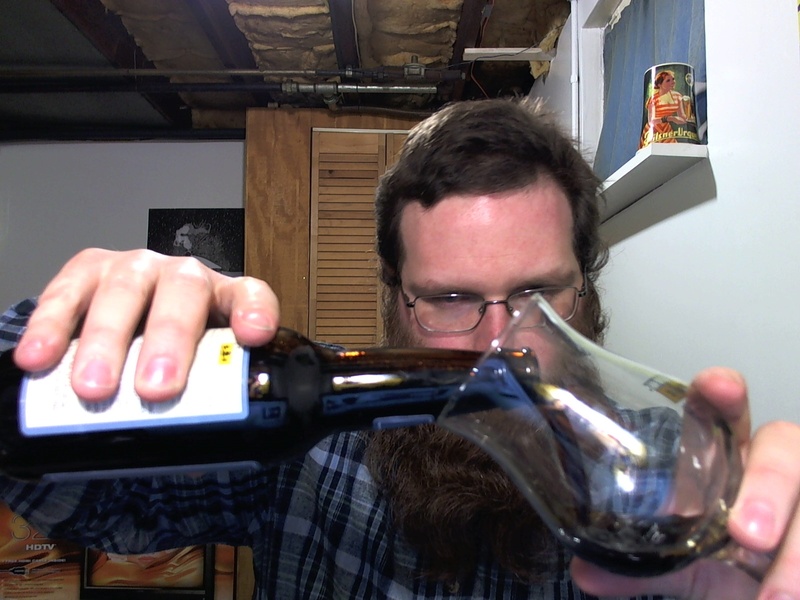 CORRECTED AUDIO: Beyond the Pour Podcast Episode 15: The Ratebeer “Best Of” Awards, Beer Snobbery, and Ding! We’re back again with another delayed episode, this time delayed just because I’ve been busy enough not to have time to edit it. Sorry. I’ve done a light editing job here and I haven’t created a roadmap for you this time, but I’ll be better in future episodes, I promise. NOTE: This episode originally ran with a slowed-down piece of audio at the beginning. The version currently uploaded should be good. Email beyondthepour@gmail.com if you have any problems with the audio. I haven’t done a text review in awhile. Let’s see if it’s really like riding a bike. Pour rich orange-amber color, likely all that German malt. Rich off-yellow thick creamy head that leaves a ton of lacing as I drink the beer. Aroma is strong with rich caramel malt, tons of biscuity quality. Hops are a bit subdued for an IPA, but it’s an older bottle (but still in code, so I feel it’s a fair review). On the tongue I get a ton of the rich German malt with a nice crisp whole-hop bitterness. 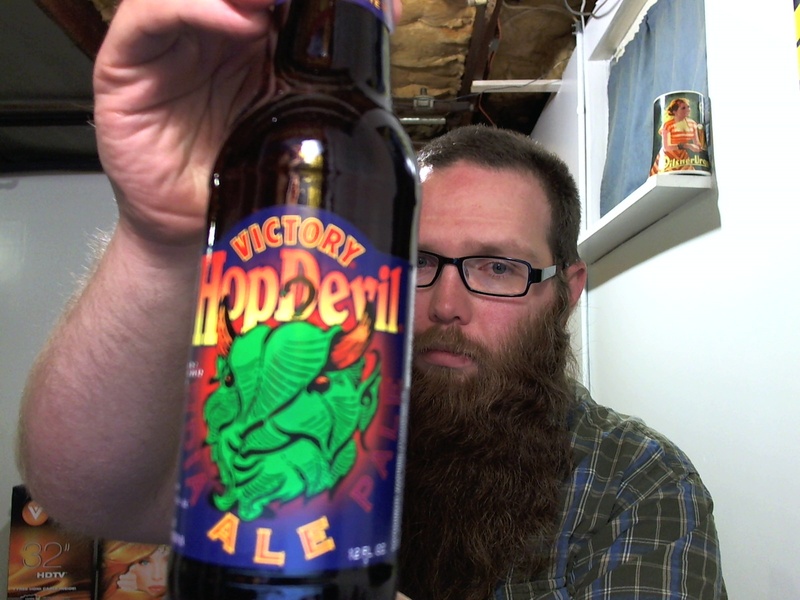 Victory is one of the only American breweries I know (the other is Sierra Nevada) that only use whole-cone hops, no pellets. Definitely gets a nice crisp bitterness and I’m a fan of the flavor. Some spicy notes are definitely present — I can’t find it based on a few minutes’ googling but I’d guess there are definitely some Saaz hops here, or some very similar variety. Overall, this beer is ridiculously smooth and very enjoyable, but it’s hard to judge it as a straightforward American IPA, as it has a lot of characteristics you’d expect from a malty German or Czech Lager wrapped in an American hop profile and an ale yeast. It’s definitely something that inspires me to thoughts of homebrew, which is definitely a good sign. Very nice beer. I’d love to try a super-fresh bottle and see if the hops are more on the IPA side — for now I’m not going to let that affect my final grade. I’ve had Bell’s Expedition quite a bit, but I don’t think I’ve ever bothered to try a bottle this fresh. Last year I did a vertical tasting between a 2010 and a 2008 bottle, and the fresh bottle was significantly hoppier. How is the fresh bottle? Pours rich black, velvety, with a thin brown head that dissipates quickly. Lots of booze in the aroma, more than expected. Otherwise sweet, dark fruits, some plums and raisins, with a nice velvet roasty character. Hints of earthy hops but muted. Tastes smooth, clean, with only the slightest hint of a burn on the back end. Fruit notes that are present on the nose are not so much on the flavor, with a rich roasty dryness and, yes, a significant hop bite on the finish. The booziness starts to fade as you get deeper into the beer — you’d hardly believe this was 10.5%. This year’s batch of Expedition was somewhat delayed due to problems getting the ABV in line with the label. I was worried that this would mean the finished product would be uneven or underattentuated, but this is pretty much exactly as I remember it. The alcohol could be a bit more hidden, but otherwise I’m a big fan of Expedition and will be drinking quite a bit of it this year. The first beer sent to me in trade with Tommy. The rest will be coming shortly. 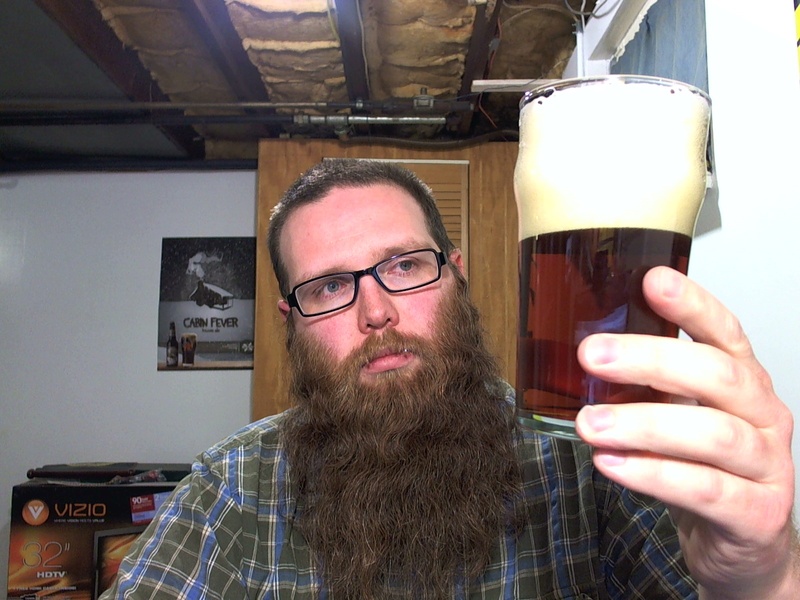 This video is a bit longer than usual because I’ve had and reviewed several Black IPAs in the last couple of weeks, and I spend some time musing about the style. Is it really all that new? Will it stick around, or is it just a fad? I’d be interested in getting comments on those kinds of issues, and may make a more involved video on the topic down the road. 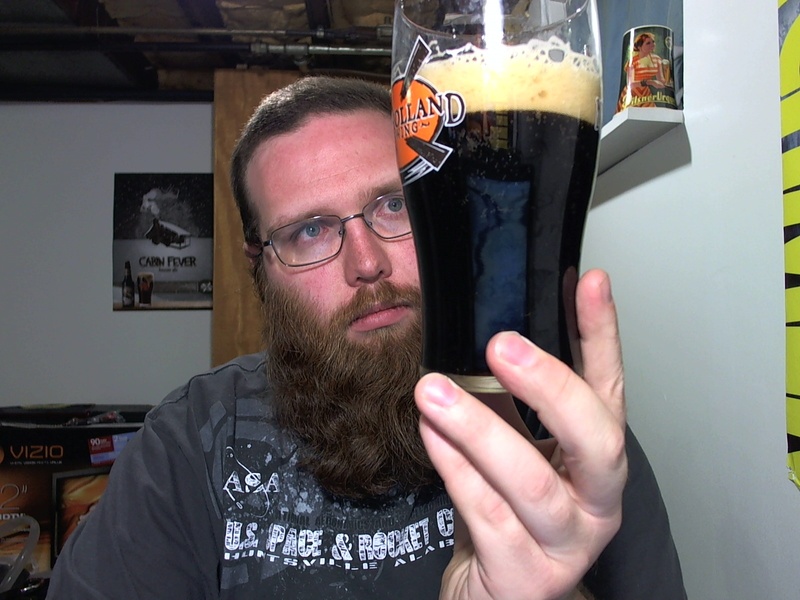 Is Stone 15th Anniversary Escondidian Imperial Black IPA the Best Black IPA Ever Made? I took a few days off from uploading, just to give myself a breather from the shooting and editing. Before I took the break, however, I shot this video. Ryan gave this beer an A+, which psyched me up for trying it. Since then, Jamison has also given it an A+. I guess I’m the spoiler of the bunch. I “only” gave it an A.
I actually shot this on August 14, the day I got back from vacation, which explains why I’m a bit rusty in the video. This is a new brewery in Birmingham, AL, that doesn’t bottle at all yet. I’ve had this beer a couple of times when I was down south, but haven’t bothered to review it until now. A shop called Liquor Express in Huntsville, AL, has draft beer to-go sold in plastic milk jugs, which is the format for this review. This whole Black IPA style hasn’t quite been for me. The first one I had was Stone’s Sublimely Self Righteous Ale, which I found kinda “meh.” Since then, I’ve had maybe a dozen, some good, some not, but none has quite been out of this world. Is this a style that’ll stick around, or is it just a flash in the pan? 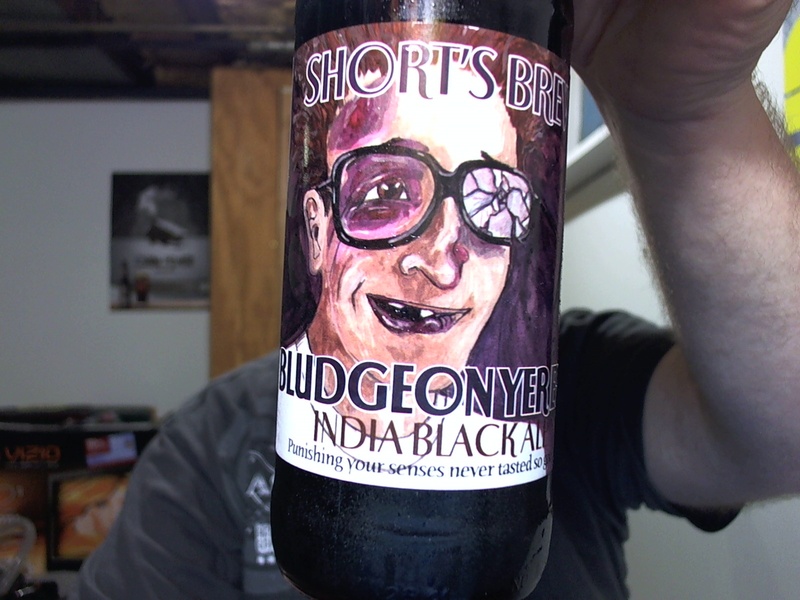 Anyway, today I’m talking about Short’s Bludgeon Yer Eye IPA. It’s another one of their limited-release bottlings, and it’ll be out of stock in the area within the next day or so. I’ve always said this is a weird business model for Short’s, but they seem to be making plenty of money so who am I to question them? Pours jet black with a thick yellow-white head. Tons of lacing on the sides of the glass. Smells strongly of citrus with a bit of spicy hop, with lots of licorice and black patent malt underneath. Roasty, dry, caramel qualities rise to the surface. Flavor is very well-balanced between the roasty characteristics and the citrusy hops. There’s just enough of a spice quality to keep the beer interesting, and balance out what might have been overwhelming sweetness from the citrus. I wouldn’t want more than one or two of this, but as an occasional treat it’s pretty nice.